Brian – Computer games! I loved games at school and my parents had an old computer that I loved to use and play “SkiFree”. A friend and I tried to forge a hall pass once on his old Macintosh classic (don’t tell mom). Austin – Technology and computers has been a part of my life ever since I was a kid. My first experience I can remember with a computer was playing pinball on an old Windows machine, I was probably 6 or 7. I didn’t start doing any real coding until I was out of college. Brian – I started using macs somewhere around 2011 and haven’t looked back. My first mac was a Macbook Air. I currently use an iMac which I love. Austin – If you want to count smartphones as computers, I would say my iPhone 6 I’m currently using. Being able to use a computer anywhere you go is pretty fascinating to me, knowing where they came from. My MacBook Pro has also been a trooper for the last 3 years. 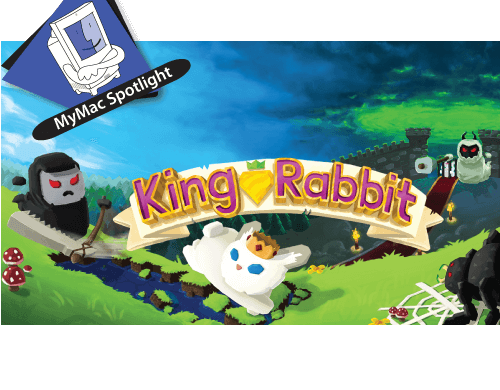 Our latest product is an iOS game called King Rabbit! Its the sequel to Furdemption. Brian – Besides lawn mowing jobs, working at a coffee shop on wheels. Brian – Don’t be afraid to fail. Don’t be afraid to try new things, almost anything is possible… You just need a lot of focus and persistence! Try to solve little problems first and move up from there. Austin – If you really believe in your vision, you can make it a reality. Be persistent and learn from your mistakes. Finding a mentor who can guide you is a bonus. Brian – Elon Musk is currently a big inspiration. Austin – All the indie devs who have been able to create a following for their games. It’s really hard to do. More specifically – Team Meat and Supergiant Games, to name a couple.